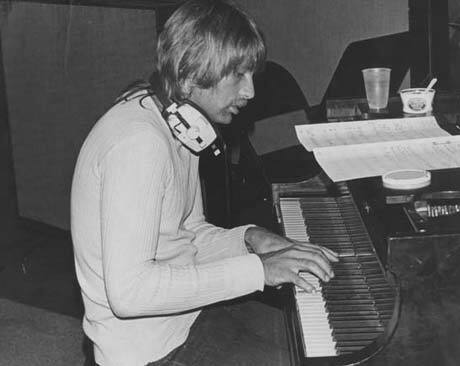 Grammy Award-winning keyboardist Larry Knechtel, best known for his work in 1970s hard rock band Bread, has died at age of 69. According to the New York Times, Knetchel - who also played alongside some of the music world's biggest stars including Ray Charles, Elvis Presley and the Doors - passed away on August 20 after suffering a heart attack in the small Washington town of Yakima, where he moved in 2003. Knechtel shared a Grammy for his work with Simon and Garfunkel on the timeless classic "Bridge over Troubled Water," a track he played piano on. He also played bass guitar and harmonica, among other instruments, and performed in the studio and live with artists such as the Mamas and the Papas, Neil Diamond, Hank Williams Jr., Randy Newman, the Beach Boys, Elvis Costello and, most recently, the Dixie Chicks. He played keyboards on the Chicks' Grammy-winning album, Taking the Long Way, and toured with the band to support the album. Knechtel joined L.A. rock quartet Bread in 1971, replacing keyboardist/bassist/multi-instrumentalist Robb Royer. The group's hit songs include "Make It with You," "Baby I'm-a Want You" and "It Don't Matter to Me." "Larry's résumé is a history lesson in great American music all unto itself," states Knechtel's biography on the Dixie Chicks website.